8″ of NEW SNOW FELL IN THE SOUTHEAST AND MID-ATLANTIC SKI MOUNTAINS! SEE WHERE! Kenny is on the road this morning so I’m (Mike) updating this report for you guys today. Temperatures are all over the place this morning with the COLDEST mountain being Canaan Valley and Timberline Resort in Davis, West Virginia this morning where it was MINUS 3° at 8am. 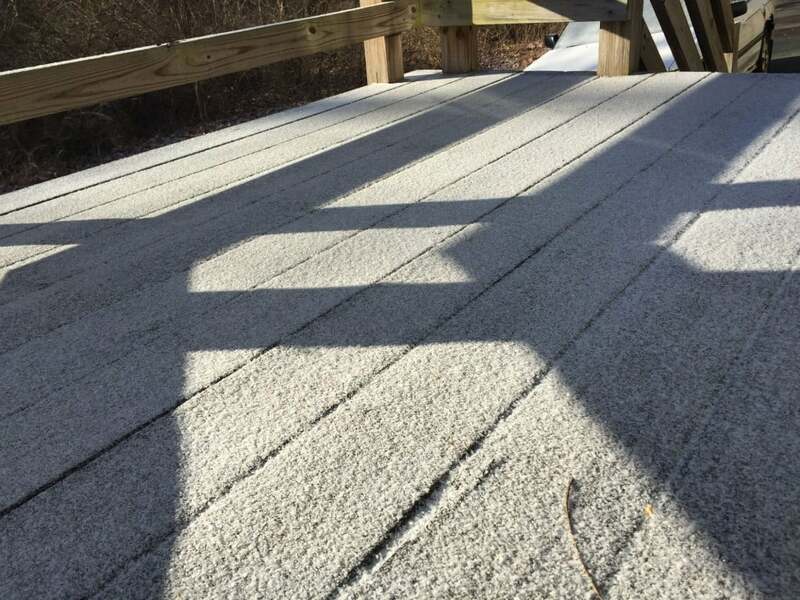 Wisp Resort in Maryland was reporting 1°. This seems to be another of those mornings where the cold front must be providing the coldest wedge of temps from Virginia northward. The mountains of North Carolina are showing temps from 12° at Beech Mountain, to 16° at Appalachian, 19° at Cataloochee and 26° down at Sapphire Valley. While on the subject of temperatures – exactly 24 hours ago the low Thursday morning at Sapphire Valley was 61.8° or 35.8° warmer than this morning! The Virginia resorts are all reflecting temperatures this morning in the 4-6° range. Just as the cold temps are wedged into Virginia, West Virginia and Maryland – SO IS the snowfalls this time around. While Beech, Sugar and Cataloochee reported from a TRACE to one-half inch of new snow, the Virginia resorts saw 4-7″ of new snow; Snowshoe reported 6″, Winterplace 5″ and the BIG WINNER this time around is Canaan Valley and Timberline Resort where 8.1″ of new snow fell in the last 24 hours! So Canaan Valley and Timberline hold the distinction of being THE COLDEST and THE SNOWIEST spot this morning. In fact, Davis, WV has had 12.8″ of snow in the last 48 hours and they CURRENTLY have 20″ of snow on the ground! I had snapped an aerial drone photo on Wednesday when it hit 73° here at our offices and there was a little natural snow still on the ground in pockets here and there. Obviously there’s a little moreso up at Sugar and Beech. HOWEVER, as warm as early this week was – IMAGINE the fact that up in Davis, West Virginia RIGHT NOW there is nearly TWO FEET of snow EVERYWHERE! We were up at Snowshoe this past weekend and there were mountains of snow everywhere and they were running out of places to put it…and here ANOTHER 6″ of new snow fell. TALK ABOUT A CRAZY WEATHER WEEK! As you’d expect, the conditions are AWESOME everywhere today. 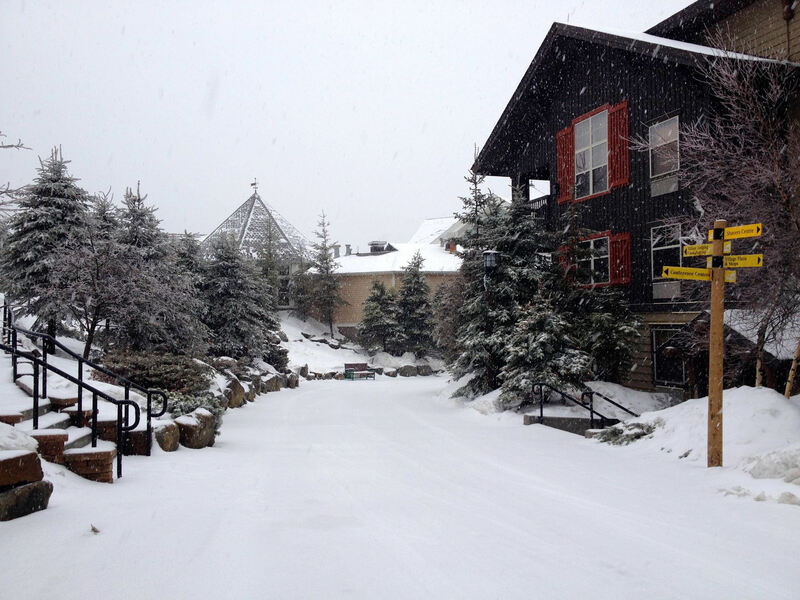 Some resorts made snow as well and all of the resorts are enjoying PEAK conditions right now. Of course if you’re into snow (aren’t we all) the best SNOW will be found from the Virginia/North Carolina line and up. However – throw a dart at a map with all of the Southeast and mid-Atlantic ski resorts on it and no matter which one you hit – you WILL find awesome ski and snowboarding conditions. Check the SNOW REPORT for all of the details. I mentioned what a crazy WEEK this has been. I can’t remember a time when we had mid-70 degree temps and then two days later saw temperatures in the MINUS 3-to-12° range and up to 8″ of snowfall as well. If you guys will think back to late January – we were bemoaning the fact that NONE of the resorts were getting their “normal allotment” of natural snowfall. Then FEBRUARY came and went and resorts (particularly the West Virginia and Virginia resorts) saw a ton of snow. Snowshoe saw the most snowfall in February but I don’t have an exact number. However, David Lesher’s Canaan Weather data shows that Canaan and Timberline saw 45.6″ of natural snow in February alone and remember that February is a short month! Those kinds of heavy snows and another 17″ so far in March have pushed the season snowfall totals up to a spot that they are within reach of hitting their NORMAL season snowfalls – which was something we didn’t think would happen as February 1st rolled around. Snowshoe averages 180″ per season and they are now at 160″. March is typically a snowy month…so we’ll see. Beech Mountain averages 80″ of snow each season and with their tally of 72″ to date…I’m thinking they will reach their normal “NORMAL”. The Virginia ski areas have ALL already surpassed their normal snowfalls with Massanutten at 41″ on the season thus far and Bryce leading the state with 49″. I don’t think we’ll see the 167% of normal snowfall totals that were predicted prior to the season fall anywhere…but suffice to say that the second half of the season has been awesome. Conditions have been about as good as it gets and there is no question in my mind that when this season is finished and in the accounting books – SOME resorts will have broken some attendance records in terms of skier visits. Beech Mountain – Just a quick note to alert visitors that Beech’s website is down this morning due to some kind of security patch that was installed overnight that crashed the hardware on the server. BEECH IS 100% OPEN WITH ALL 15 TRAILS TODAY and AWESOME CONDITIONS. We’re hearing that the server dropped offline at around 4am this morning and a new server has already been added to the rack and files are being pushed over to the new server at this time and the site should be back up sometime today. This is the time of the season that we have to remind people off the mountain that the conditions are awesome! The weather forecast for this weekend is nothing short of awesome with highs in the upper 30s and low 40s with lows overnight in the teens, 20s to around 30°. The skies will be a BRILLIANT BLUE all weekend long and the snow is plentiful and will be groomed to near perfection wherever you head this weekend. So get you rear and your gear UP HERE and take advantage of these awesome conditions. Next articleWintergreen Saw Another 5-6″ of New Snow!